Thankfully most of the areas we have walked through on the Pacific Crest Trail are undisturbed and in their natural state. Recently, however, we have travelled through a great deal of national forest land, which the US government has dubbed “the land of many uses”. In addition to hiking, these uses include include logging and mining. It was shocking for us to walk through dense forest one moment and into an almost clear cut section the next. Seeing destroyed forest was incredibly depressing, and North Star started to tear up. In addition to the cut trees, almost all the vegetation had been ripped up by heavy machinery. It would take hundreds of years for the forest to fully reestablish itself. The land was devastated. To our relief, the trail continued on to steeper slopes which had never been logged. The mature trees there were magnificent. These healthy, undisturbed areas are home to many creatures. 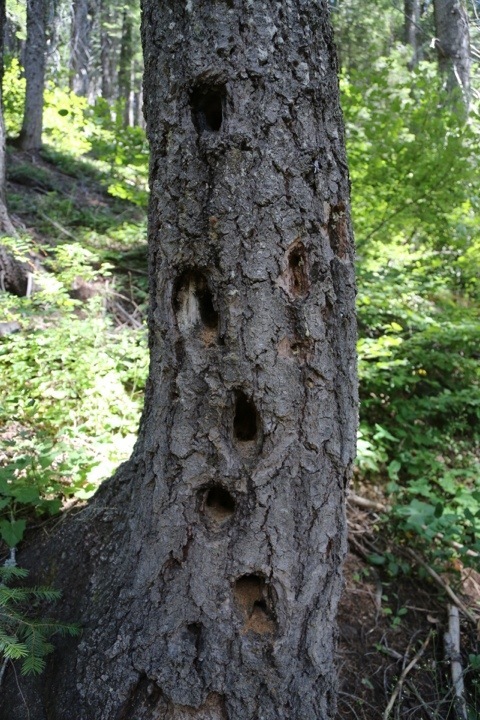 Even dead trees are an important part of the ecosystem, providing food for some creatures and housing for others. – Stop paper mailings, especially catalogs and flyers. A good place to start is dmachoice.org, where you can opt out of most direct mail. – Contribute to organizations like the Nature Conservancy which protect wild lands. You can contribute via our Nature Conservancy donation page. Your individual actions make a difference. Thanks for helping conserve our natural resources. We saw a black bear on the trail. Once it noticed us, it quickly turned and ran away. Lush vegetation grew near many of the creeks we passed. 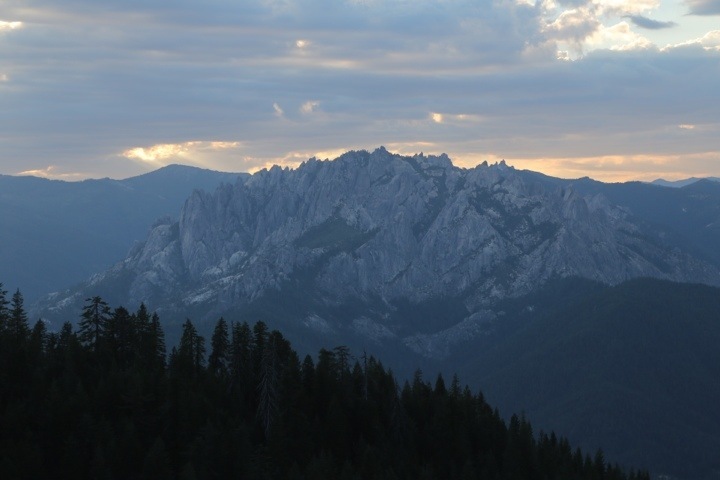 Castle Crags came into view for the first time, made even more spectacular by dramatic clouds at sunset. We passed the 1500 mile mark. Canada here we come! I loved that 1st pic so much!! And was remembering how I was thinking I’d never seen telephone lines in your photos. And then, crash!! I’m with North Star, what pain in the d-forestation. .
That bear print looks enormous. Was it? Yes, power lines and cut trees. What’s next, roads? But don’t worry, my photographic style isn’t changing. Back to the usual soon. It was about medium-sized for a black bear. 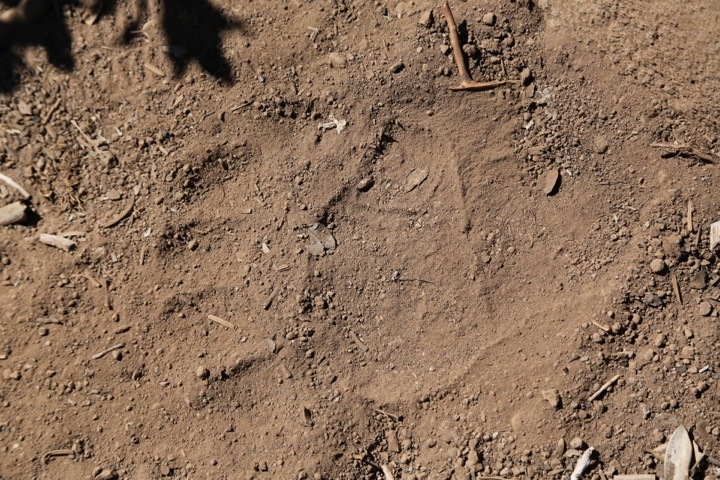 Maybe about the size of a human hand. 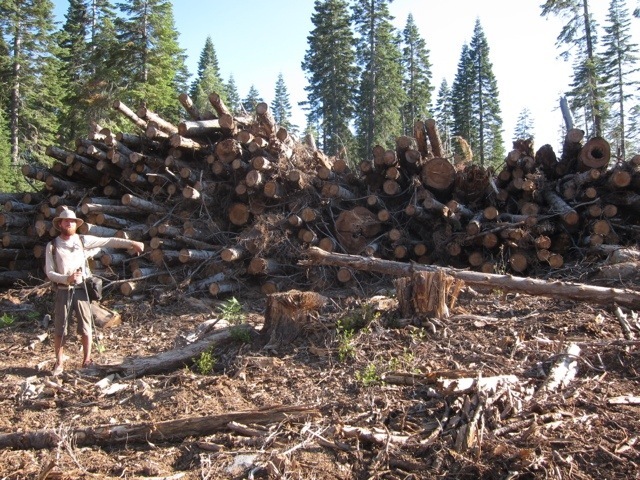 wood for houses has to come from somewhere – I believe that most of the wood in the NW goes to making lumber, not paper. Forests in different parts of the country are managed in different ways depending on the types of trees. For some species, if they are going to be harvested, clear-cutting helps them rejuvenate faster than if they are selectively cut. It is never easy to see a clear-cut but if we are going to build things with wood, wood comes from trees. If we don’t want to see it happening we can keep asking Canada to supply it all, exotic woods can be taken from places like Brazil for expensive floors in high-end homes…at the end of the day I can tell you that, at least on US National Forests, a great deal of science, thought, NEPA and regulation goes into cutting a tree down whereas the out of sight, out of mind timber harvesting in other parts of the world have far fewer restrictions on the where and how. It’s good that the US is ahead of many countries in protecting forests, but it’s important continue to improve our practices, setting an example for those other countries. Ideally of course we would also reduce our use of wood as much as possible by reducing paper use and reusing existing houses and buildings instead of building new ones. Here too the US can be an example for other countries to follow. Even though good harvesting practices help, the best practice is to reduce use and avoid harvesting entirely! See, that is the danger when you spend so much time in somewhat chosen isolation. We get attached to our exclusive experience of reality. The world as a whole isn’t quite so simple and can appear anything but beautiful when you look beyond the preferred limitations. Wait for the re-entry into the madness when you arrive at the end of this wonderful trail. This culture shock was once painful and yet enlightening too for us when we finally walked out of the natural wilderness into the man-made wilderness again. Remember, it’s not the conditions you find that determine your happiness, it’s how you respond to them. The conditions you cannot choose, your reaction you can. Don’t be sad when you find the world or people ugly. You can’t change the world, but you can change yourself; and by being out there, self-contained, respectful, and mindful, you change yourself every day. Yes, it’s definitely important to stay positive no matter what life throws at you. However it’s also important to us to change the world concretely for the better. People like John Muir, Rachel Carson, and Michael Pollan are inspiring to us because their writings have influenced millions of people, who have then changed the world for the better. 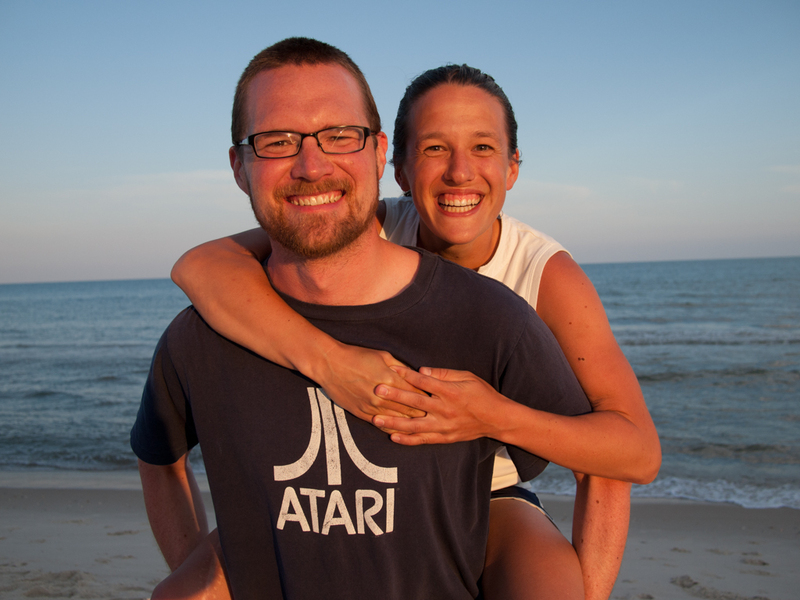 With this blog, we are doing our part to help, and we do the same in our lives every day. North Star and Shutterbug – your photos and stories continue to inspire. Thanks so much for making them available to us. Lovely photos of the lilies and paw print and (was that a) nuthatch. I love hearing that nasal call of the nuthatch and watching them hunt for bugs. Hard to believe you are almost to Oregon. Walk on! Thanks! 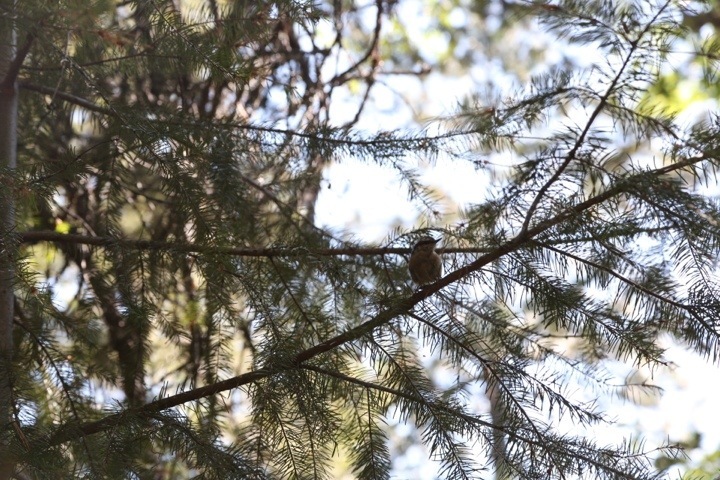 We think it was a nuthatch, but we need a pro birder like you to teach us one day. Oregon soon! Castle Crags is gorgeous. 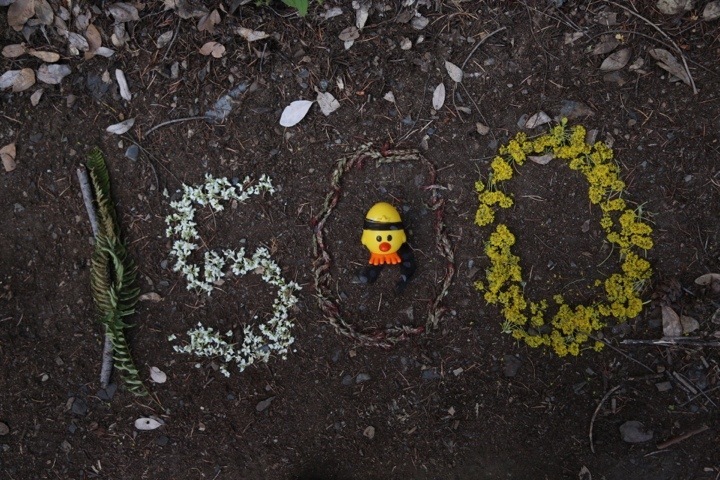 And WOW on passing the 1500 mile mark! And I love the picture of you, North Star, walking on the rocks in the stream. How big WAS that bear, anyway?? Looks alarmingly big from the paw print. Thanks Mom! It was about average size for a black bear, so it was sizable but not like a grizzly would be. I’ve been enjoying your blog for several weeks now, great stories and outstanding photos. Thank-you! Also, it’s important to note that the majority of cut-over sections of PCT you experienced between Burney Falls SP and Castle Crags SP are on private lands as opposed to USFS lands, the ‘classic public/private checkerboard’ land ownership patterns of the west. 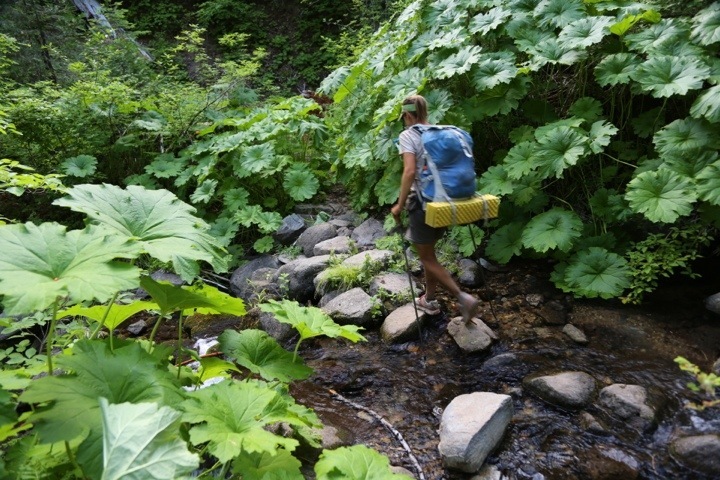 The PCT traverses a great deal of industrial timberlands in Northern California (Sierra Pacific, Roseburg, Hearst, etc) and is afforded minimal protections through the right-of-way easements that allow passage across the private lands. 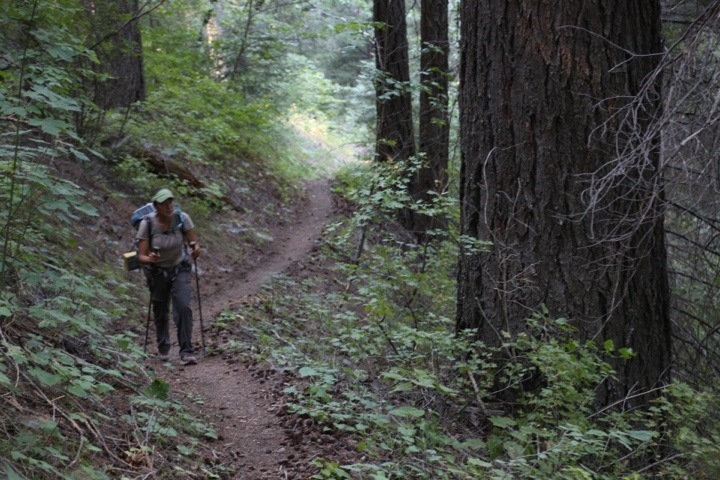 And now… enjoy some of the finest Wilderness areas Northern California has to offer. Hope to see you on the Trail! Thanks Ian, glad you are enjoying the blog! You are right about the mix of public and private, and we did note logging on both public and private land. 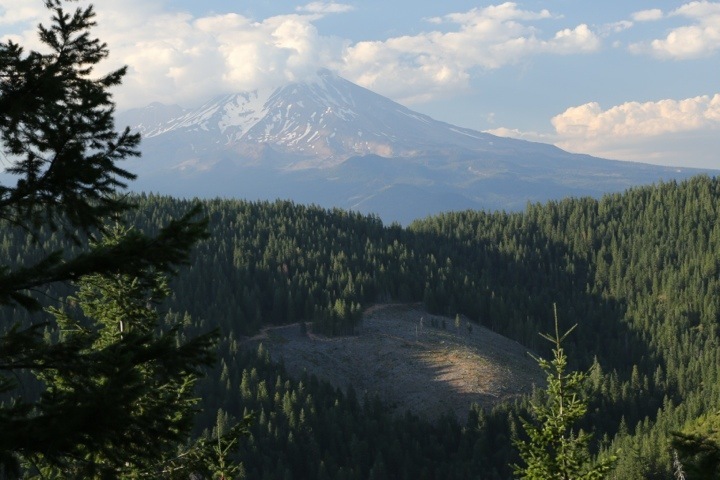 The PCTA is attempting to acquire the remaining portions of the PCT which are on private land. 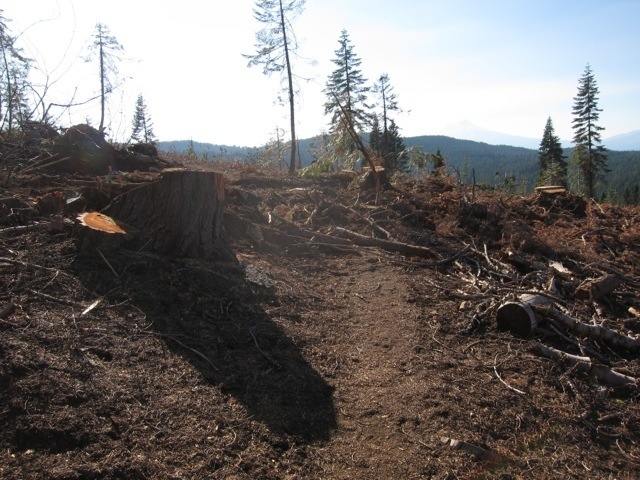 That should help keep the trail intact, though it wouldn’t fully address our larger concerns about logging, of course. We can’t wait to see Oregon and Washington. Should be beautiful! I left a message at 7:00 am but it looks as if you never got it. Becky’s blog was SO funny! We laughed and laughed as we read it. It’s neat that Becky hiked with North Star and Shutterfly. Now she needs a trail name! Yes, we haven’t come up with a trail name for her yet. It would be fun to see what name she’d get if she were out here longer! 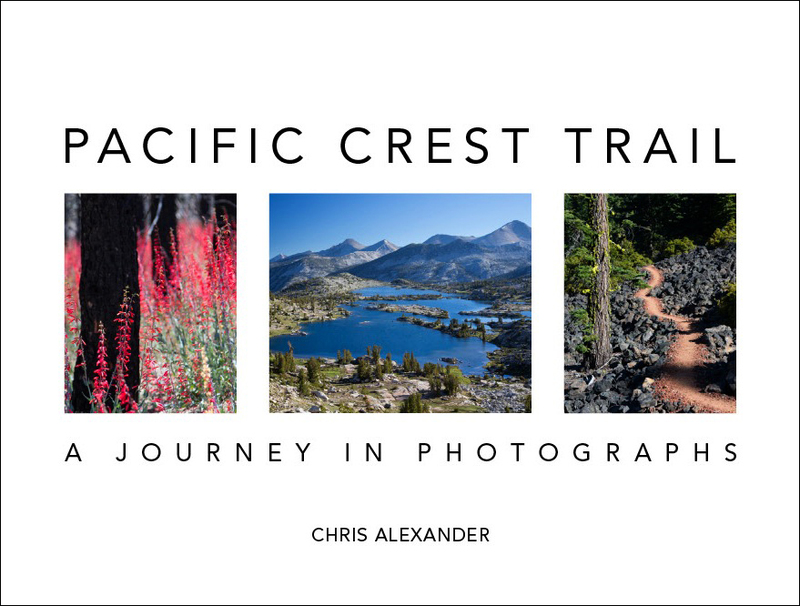 I have been following your wonderful PCT blog for several weeks now, thanks to Rockin’ who sent me your website. Thank you so much for sharing your inspiring trail experience with us! I continue to look forward to seeing great photos and journal entries. I, too, am a hiker, and I can deeply relate to your time on the PCT. Thank you, also, for your sensitivity to protecting the environment. I see that you are on the PCT representing the Nature conservancy. Another group which fights equally hard is the Sierra Club. Congratulations for making it this far, and may Orgeon be just around the next bend! Thanks Georgette! We agree, the Sierra Club is also a wonderful organization. We’ve been on a couple snow camping trips with them, and they did an excellent job. It’s so important to have large groups advocating for the environment, standing up to massive corporate interests. Sometimes people think nothing can be done to fix environmental problems, but groups like the Sierra Club and TNC are changing things for the better all the time. Thanks for your encouragement, and we will keep the posts coming!